I checked to see if final pics of the Freeing Kannagi had been released again today, and yayness! They had! They can all be viewed here on the Hobbysearch site. There are some of the pics in the rest of this post. More pics of my mascot. More playing with promarkers. Scantily clad girlies will come tomorrow. 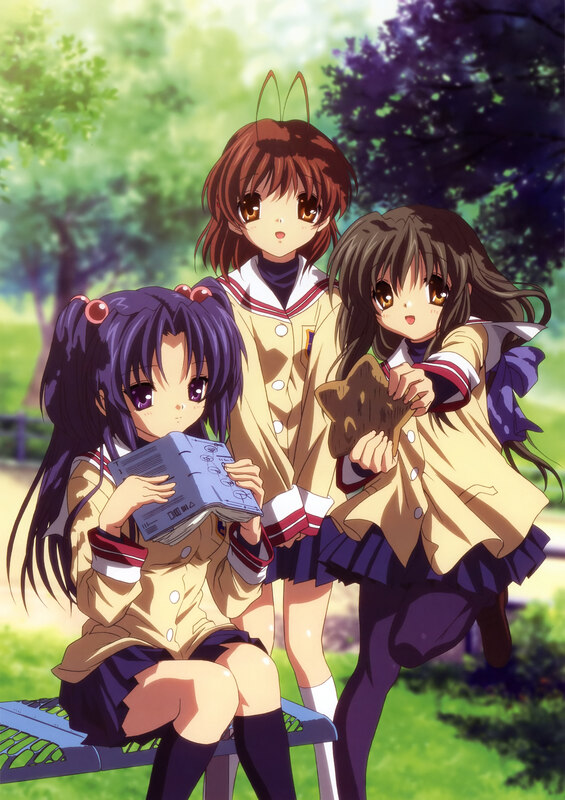 Anyways, its late, its time for Clannad After Story ep 20. Then some Supernatural season 3. Learned today that I have to wait another 2 weeks for the next episode of Greys Anatomy…. the wait will not be fun… damn american tv series breaks…. my friend is waiting for the next Supernatural season 4 aswell… I’m watching that on ITV2 though. Gah… must go…. late lol. I have no idea what to call her…. Chue? Churu? Chu? Chui? Chuuko? Chotomi? Chuchu? I’m pretty sure I want a ‘Ch’ in it…. And I’m pretty sure I want a suffix… san or chan. Even chi like Misaki-chi in Angelic Layer lol. Of course, shimapan are the only way to go. (I realise the right shin is bigger than the left… But when legs are lifted in mid air, the muscle/fat doesn’t just stay in one place, right? Thats my excuse…. lol. Best pic I had with Fuko and Kotomi in. I think I've used it before. 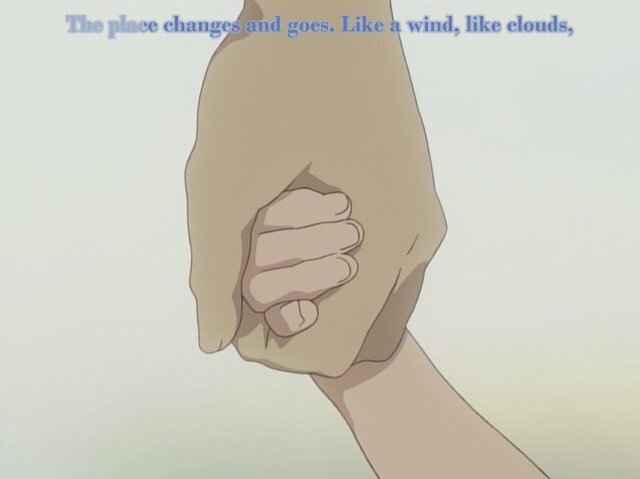 On sunday I got round to watching episode 19 of Clannad After Story. Not really recalling the preview from last week, so I didn’t know what was in store. Today I caved and got the light from Argos, £9.97, max height 52cm, an angle poisey affair. I went and got some bulbs from the pound shop near the market, no daylight bulbs sadly, I’ll need to find one/some from somewhere… I don’t think ordering light bulbs online would be the best idea though, ne? I got some pretty papers for backgrounds too. 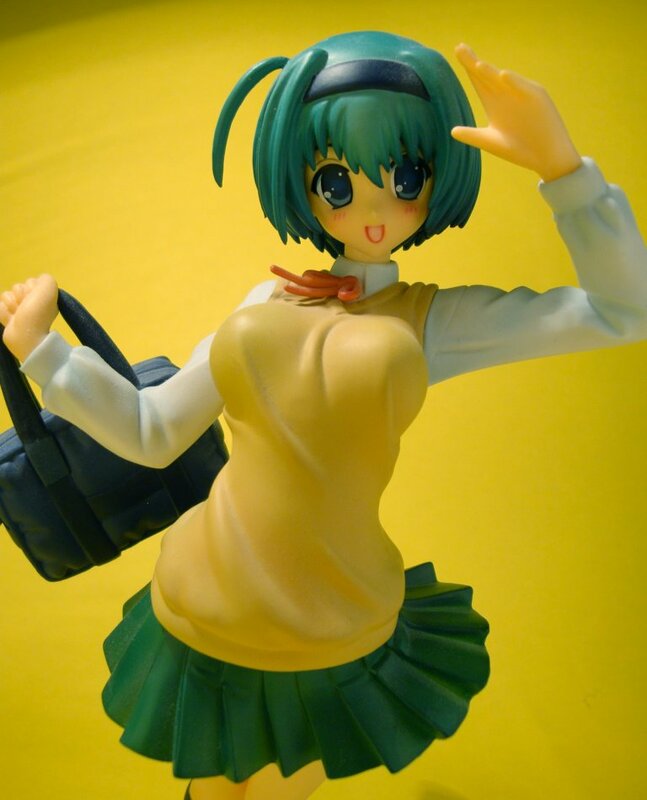 And a plain yellow bit, since it would look great with Chie. And it does. Right? ?